IEBF has organized a Global Business Meet on “Invest in New India” which was held on 17th November, 2017 at House of Lords, Westminster, London. The event was preceded by a day time Business Conference on “Investment Opportunities available in India”. The book launch event of the books “North East-The Land of Rising Opportunities”, “Make in India” & “Window to Success-A Compendium on MSME Sector” authored by me was a huge success. All of three books were launched by Mr Kiren Rijiju, Hon’ble Union Minister of State for Home Affairs, Mr,. Vijay Sampla, Hon’ble Union Minister of State for Social Justice & Empowerment, Hon’ble Member of Parliaments MC Mary Kom , Conrad K Sangma, Ronald L. and other MPs of North East State. 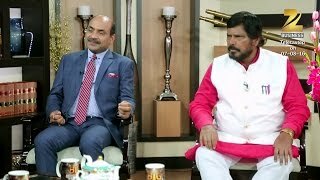 Report Card of Two Years of Modi Government - Watch on Zee Business weekly show "Big Business Ideas" featuring CA Sunil Kumar Gupta, Author, Philanthropist and economist as a business expert on every Sunday at 8:27 AM with Mr. Ramdas Athawale, Minister of State for Social Justice & Empowerment, Government of India. Is india a better place for ease of doing in business? watch zee bussiness weekly show "Big Business Ideas" featuring CA Sunil Kumar Gupta, Chairman SARC ,Author, Philanthropist and economist as a ‎business expert on this Sunday at 8:27 AM with hon'ble Manoj Tiwari, MP, LOK SABHA. Do you know there are special schemes for North Eastern citizens? 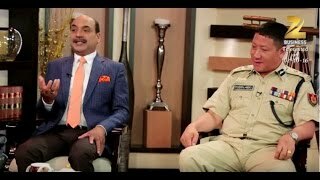 To know watch Zee Business weekly show "Big Business Ideas"with our special guest Mr. Robin Hibu, IPS, Nodal Officer for North East People, Delhi and our #businessexpert Mr. Sunil Kumar Gupta every Sunday at 8:27 AM. I am glad that Shri Sunil Kumar Gupta, Chairman SARC & Associates has written a book titled “North East-the Land of Rising Opportunities” in which he has identified potential areas for future development of NE region and also given detail of various Government Schemes announced for the growth of this region. I am told that the book is quite informative and the royalty of the book will be utilized for helping the NE people in distress. I send my best wishes to the Author. I am delighted that Mr. Sunil Kumar Gupta has authored the book titled “North East-Land of Rising Opportunities”. The book provides in depth information on various Government schemes and special packages announced for the growth of North Eastern Region (NER) along with a thorough analysis of opportunities available in North East. I am confident the book will be quite useful both for the youth & Entrepreneurs aiming at the development of NER. I appreciate the efforts of Mr. Gupta for covering all the potentials and issues associated with this region in the best possible way. I am deeply touched to know that the royalty of the book will be used for helping the needy people of NE residing in various cities outside the North East. I congratulate the author Mr. Sunil Kumar Gupta and wish him all success. I am glad to know that Mr Sunil Kumar Gupta has authored a book titled North East – Land of Rising Opportunities. This book will surely create awareness in the youth and promote entrepreneurship in the North East Region. I wish all success to his book. I am very delighted to know that Mr. Sunil Kumar Gupta has come up with his book titled North East – The Land of Rising Opportunities. Mr. Gupta has immense knowledge about the Government’s latest policies. I appreciate his efforts to spread his enormous knowledge through his book and his national TV shows. He has covered in-depth detail of various Government schemes and special packages announced for the growth of the North East in his book. I wish all the Success to this book. I am pleased to learn that Mr Sunil Kumar Gupta has written a book titled “North East-Land of Rising Opportunities”. I believe that this book will help to create the awareness about various opportunities available in NER for budding entrepreneurs and help to motivate the youth of NER to become an Entrepreneur-a successful Entrepreneur. I wish all the success to his book. I am very glad to know that that Mr Sunil Kumar Gupta has authored a book titled “North East-Land of Rising Opportunities”. In this book, he has captured all the opportunities and threats available in North East. His SWOT analysis is very analytical and seems very beneficial for the peoples of North East. I am also very happy to see that he has described all tribal festivals in his book very beautifully. I want to congratulate Mr. Sunil Kumar Gupta for his initiative and wish all the success to his book. I am pleased to learn that Mr. Sunil Kumar Gupta has written a book titled North East – Land of Rising Opportunities. This book is a successful attempt to emphasize the abundant opportunities available in NER for Entrepreneurs. I sincerely believe that this book will surely attract investors to invest in North East Region of India. It is my immense pleasure to extend my best wishes to Shri Sunil Kumar Gupta, Chairman of SARC Associates, for taking his valuable time in making the book North East – The Land of Rising Opportunities, a grand success. The author’s attempt to ease ways of doing business for the people of North East India stands to be warmly welcomed and wholeheartedly appreciated. The book is a guiding force that marks itself as ‘the North Star’ for young entrepreneurs, business-minded youths, students of business and corporate world, engaging young minds, and matured professionals who are in economy-generating fields, and above all the people of North East India. It gives me a great pleasure to learn that Shri Sunil Kumar Gupta, an eminent Economist, admired Philanthropist and a friend of NE Tribals, has written a much needed book, North East – The Land of Rising Opportunities, providing all the incentives/opportunities for the entrepreneurs for NE development. Further, he apparently has a plan to dedicate this book to the NE youth while the royalty of the book will also be given for helping the distressed NE people in different cities. I am happy to know that one book titled North East – The Land of Rising Opportunities incorporating almost all the incentives/opportunities for the entrepreneurs for the development of NE youth written by Mr. Sunil Kumar Gupta, Chairman of SARC Associates, is being released on this occasion. My sincere best wishes and I do wish the function a grand success. DR THOKCHOM MEINYA M.Sc. ; LL.B. ; M.Phil. ; Ph.D. I am extremely happy that Sunil Kumar has taken my request on the behalf of the North East people, to compile all the information/incentives available for the North East entrepreneurs. He has done extraordinary hard work to bring out this book which I believe will go a long way in accentuating the local entrepreneurs to start entrepreneurship in different fields. What made it the most heart-touching for me is that he has decided to donate the royalty received from his book for the assistance of distressed North East people in cities through one of the pan North East NGO ‘Helping Hands’ (run by serving all India Officers/Supreme Court Lawyers and entrepreneurs in Delhi). Such a benevolent act by a writer & philanthropist is a fine example of humanitarian service for the less privileged citizens. We need to disseminate this path-breaking book to all promising youth of North East for starting entrepreneurship in their respective area. “North East-The Land of Rising Opportunities” a book written by Mr. Sunil Kr. Gupta, Chairman of SARC, who is also an Author, Economist and Philanthropist, has researched and compiled general profiles of north east and its tourism potentials, attractive sectors, MSMEs, benefits such as schemes, tax exemptions and other opportunities. I believe this book will be a complete catalogue to aspiring young Entrepreneurs, Scholars, Social Workers and common people by giving them a clear and detailed profile of North East, Government Schemes, Incentives and other opportunities which can be availed and henceforth, bring development to the region in every aspect. My heartiest congratulations to Mr. Sunil on his book ENTREPRENEURSHIP OPPORTUNITY IN NORTH EAST and appreciate all his efforts in compiling the information of North East. I wish and pray that it will not be a mere book but an eye opener and a motivation to the readers for development by giving birth to more entrepreneurs and leaders who will bring a positive change in the region. It is a matter of great pleasure to introduce the book titled Big Business India Guru authored by erudite author Mr. Sunil Kumar Gupta. Mr. Gupta have immense knowledge, expertise and practical exposure in ate area dealt with in the book. I am pleased to come across a timely and topical book authored by Mr Sunil Kumar Gupta titled “Make in India” that shall prove very useful to anyone interested in doing business in India. I am happy that Sunil Kumar Gupta has adopted a comprehensive approach in emphasizing the opportunities of business in India with this insightful collection of work. The choice of topics and the inclusion of specific information enhance the relevance of the book. It is a matter of great pleasure to note that the revised edition of the book BIG Business India - Make in India is authored by erudite author Mr Sunil Kumar Gupta. The author has immense knowledge, expertise and practical exposure in the areas dealt in the book. The book has covered all the major areas and challenges concerning investment in India by overseas and domestic investor. The book is aligned with the vision of India's present Prime Minister Shri Narendra Modi's "Make in India" mission and imparts the necessary knowledge to overcome the hurdles faced by the investor in present scenarios. I am sure the author and the publisher will be making their best efforts to disseminate the information through the book to the potential investors and help attract investment. I wish all the success to the book. I am very happy to read the book Make in India. Make in India a publication that emphasizes the Hon’ble Prime Minister’s campaign ‘Make in India’. This book aims at sharing information on India’s economic potential in each sector with the investors. It will provide readers an understanding of the Government’s recent initiatives to ensure ease of doing business along with its various schemes and policy frameworks. I want to congratulate to the author Mr. Sunil Kumar Gupta for this book. The book has covered all major sectors in India that have huge investment opportunities for foreign and domestic investors. This book shall be an excellent reference point for prospective foreign and domestic investors. The book shall definitely achieve the purpose for which it has been authored and is bound to find a place on the bookshelf of everyone looking to invest in India. It is a matter of great pleasure to introduce the book titled Make in India by the erudite author Mr. Sunil Kumar Gupta. The author has immense knowledge, expertise and practical exposure in the area dealt with in the book. This book shall be an excellent reference point for prospective foreign and domestic investors. I am pleased to learn that Mr. Sunil Kumar Gupta is bringing out the book Make in India a publication that emphasizes the Hon’ble Prime Minister’s campaign ‘Make in India’. This book aims at sharing information on India’s economic potential in each sector with the investors. It will provide readers an understanding of the Government’s recent initiatives to ensure ease of doing business along with its various schemes and policy frameworks. I am very happy to read the book Make in India. After going through this book, I came to know that Gujarat topped a World Bank-compiled ranking of Indian states for bringing in reforms to improve ‘Ease of Doing Business’. This book has covered almost all major sectors that have investment opportunities for foreign as well as domestic investors. I want to appreciate the author Mr. Sunil Kumar Gupta for his tremendous efforts to write such a valuable book. It is a matter of great pleasure to introduce the book Make in India by the erudite author Mr. Sunil Kumar Gupta. This book shall be an excellent reference point to prospective foreign and domestic investors. The book shall definitely achieve the purpose for which it has been written and is bound to find a place on the bookshelf of everybody looking to invest in India. I am happy to learn that Mr. Sunil Kumar Gupta is bringing out the book Make in India, a publication that emphasizes the Hon’ble Prime Minister’s campaign ‘Make in India’. This book aims at sharing information on India’s sector-wise economic potential with the investors. It will provide readers an understanding of the Government’s recent initiatives for ease of doing business as well as various schemes and policy frameworks. It is a matter of great pleasure to introduce this book titled Make in India by Mr Sunil Kumar Gupta. This book provides a wealth of detail about India’s key sectors and their bright future in investment opportunities. This is an informative compilation of the latest initiatives taken by the Government of India towards improving business culture across India. I believe that this book will reach out to a huge number of potential investors and help them as a guide to invest in India. I wish all the success to this book. I am very delighted to read the book Make in India authored by Mr. Sunil Kumar Gupta. This book provides comprehensive details of sector-wise investment opportunities in India. The author Sunil Kumar Gupta is an expert on all the areas covered in this book. I feel proud to know that this book will be launched at the House of Lords, Westminster, London, UK. I wish all success to this book. It is heartening to note that the revised edition of the book “Big Business India Guru” Authored by Mr. Sunil Kumar Gupta is being brought out. The edition is an updated compilation of indispensable information with critical inputs for doing business in India. It will provide readers an understanding of India’s investment policy framework. I have perused the book “BIG Business India Guru” authored by Shri Sunil Kumar Gupta. The book is an introduction to India and contains basic but important information about the country, its constitution, the structure of Government and the judicial system. It also contains valuable information about doing business in India. The book has written in simple language, which is the major advantage to the first time investor and the reader. I am sure the author and the publisher will be able to reach the book to a large number of potential investors. Mr Sunil Kumar Gupta, leader of Indo European Business Forum (IEBF), has been a core expert and his depth of knowledge has benefited many entrepreneurs, investors and professionals across the world immensely, and has enabled them to unravel the complexities of the various Indian laws. I congratulate Mr Sunil Kumar Gupta for bringing out this book named Make in India. I am very confident that Make in India would lead to a multifaceted sustainable economic engagement between India and European countries. I am sure that Make in India will be very useful to the readers.